The action in the 2018 Northamptonshire Logistics Awards is heating up as the deadline closed for entries and nominations this week. This year saw a bumper crop of entries across all of the awards as we nearly doubled the number of entries for the awards from last year – including a fantastic number of new companies entering the awards for the first time. 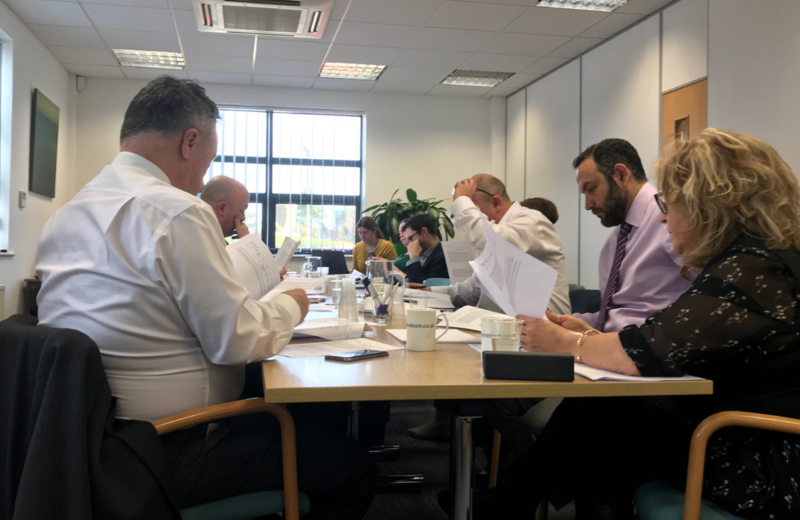 With a huge number of entries to work through, the judges convened at MacIntyre Hudson in Northampton yesterday to begin the difficult task of working through the entries and beginning to shortlist the finalists for the awards. The finalists will be announced on Thursday March 15th at the next meeting of the Northamptonshire Logistics Forum which takes place at Northamptonshire County Cricket Club in Northampton. Full details will be published here and across social media from Thursday and tickets will be on sale for the awards dinner as soon as finalists are announced! In the meantime find out more on this years awards – including information on all of our sponsors over on the dedicated Awards Mini Section.